Many Americans spend tax day wondering whether they’ll get a welcome payday or an unexpected bill from the government; fewer take the time to think about where each dollar will end up. Will our taxes fund national defense, health care, or agriculture? Will the nation’s leaders fund responses to natural disasters, alternative energy exploration or something else entirely? The answers to these questions rely on the political process and those who control it. Until now, nobody has gathered the data to find out how Americans want their money spent. 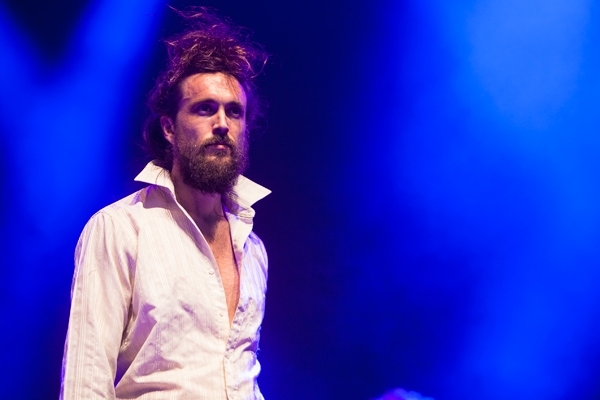 That’s changing this year thanks to an unlikely activist: Edward Sharpe and the Magnetic Zeros frontman Alex Ebert. Ebert has teamed up with developers from the 2014 Sundance Film Festival’s “Hackdance” hackathon to launch TheNewIRS.com, which provides users with interactive, visually arresting infographics that compare how users would actually want to have their tax dollars allocated versus how they will actually be used by the Federal government. Users can share their preferences with political leaders based on their location and demographics. The renowned singer and Golden Globe-winning film composer explains that this process will help gather valuable information that politicians will hopefully be able to use to better represent the desires of their constituents. “We will be able to collect national data that will serve to illuminate any disparities between the will of the people and the national expenditures of our representative democracy,” Ebert says. The idea was born out of frustration with a process in which politicians, for a variety of reasons, have historically failed to fulfill many of the promises they make while running for office. Visit TheNewIRS.com to tell your representatives how you want your tax money spent. Ebert and his team will share public results after Tax Day.